The M1919 Browning is a .30 caliber medium machine gun that was widely used during the 20th century. It was used as a light infantry, coaxial, mounted, aircraft, and anti-aircraft machine gun by the U.S. and many other countries, especially during World War II, the Korean War, and the Vietnam War. Although it began to be superseded by newer designs in the later half of the century (such as by the M60 machine gun), it remained in use in many North Atlantic Treaty Organization (NATO) countries and elsewhere for much longer. 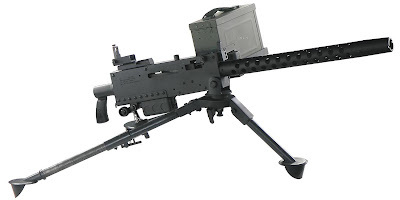 It is very similar in design to the larger .50 caliber (12.7 mm) M2 Machine Gun, which is also a Browning-designed weapon and is still in NATO service. 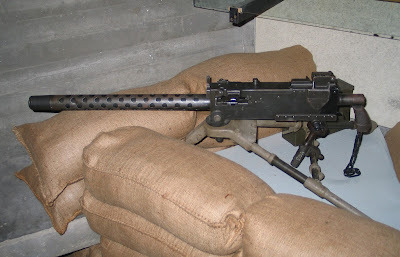 Many M1919s were rechambered for the new 7.62×51 mm NATO round and served into the 1990s, as well as up to the present day in some countries. 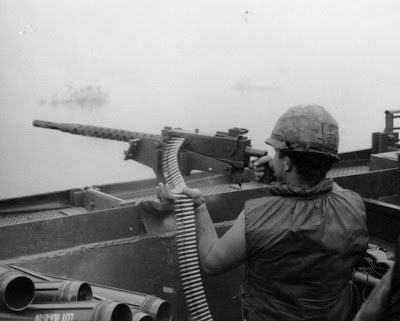 The United States Navy also converted many to 7.62 mm NATO, and designated them Mk 21 Mod 0; they were commonly used on river craft in the 1960s and 1970s in Vietnam. 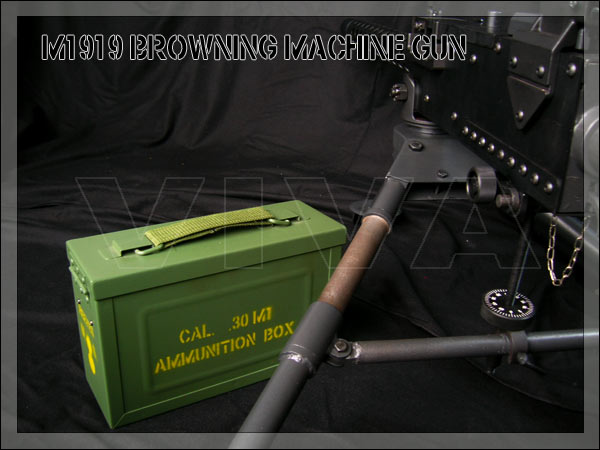 The M1919 was an air-cooled development of the standard US machine gun of World War I, the Browning M1917, as designed by John M. Browning. 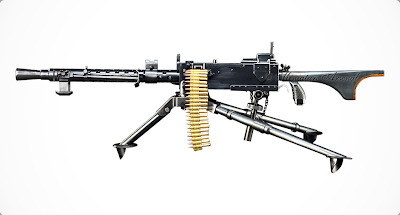 When the rear of the trigger was pivoted upwards by the operator, the front of the trigger tipped downward, releasing the sear, and the sear, in turn, released the firing pin allowing it to strike the primer of the cartridge. As the assembly of bolt, barrel and barrel extension recoiled to the rear of the gun, following the firing of the cartridge, the locking block which locked the bolt to the barrel and barrel extension was drawn out of engagement by a cam in the bottom of the gun's receiver. The recoiling barrel extension struck the "accelerator" assembly, a half-moon shaped piece pivoting from the front of the lock frame. The tips of the accelerator's two curving fingers engaged the bottom of the bolt and caused it to move rapidly to the rear, extracting the fired cartridge casing from the barrel. 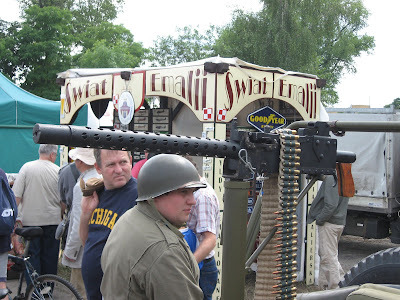 A track in the top of the bolt caused the feed mechanism to advance, providing a new cartridge to be chambered as the bolt moved forward under pressure from the recoil spring. If the trigger was still being pressed, the cycle then repeated itself. 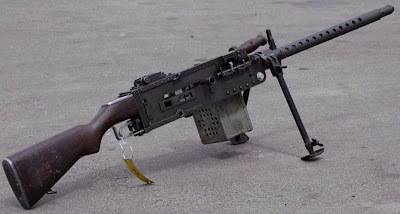 With assistance from firearms engineers at Fabrique Nationale de Herstal, Belgium, the Model 1919 was completely re-engineered into the .30 caliber M2 AN (Army-Navy) aircraft machine gun. The .30 in M2 AN Browning was widely adopted as both a fixed (offensive) and flexible (defensive) weapon on aircraft. 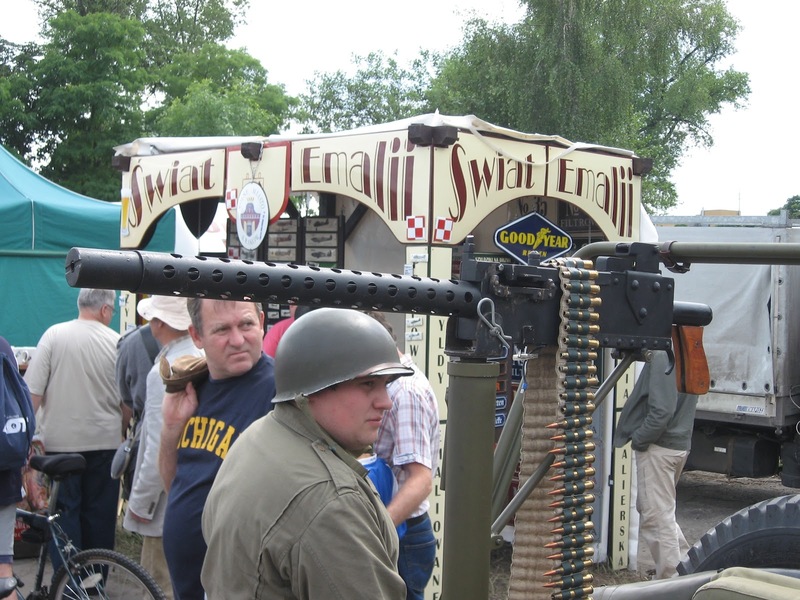 Aircraft machine guns required light weight, firepower, and reliability, and achieving all three goals proved a difficult challenge. The receiver walls and operating components of the M2 were made thinner and lighter, and with air cooling provided by the speed of the aircraft, designers were able to reduce the barrel's weight and profile. 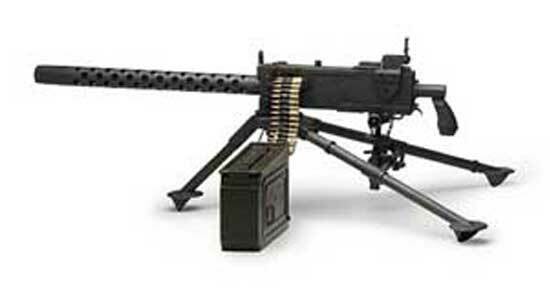 As a result, the M2 weighed two-thirds that of the 1919A4, and the lightened mechanism gave it a rate of fire approaching 1,200 rpm (some variants could achieve 1,500 rpm), a necessity for engaging fast-moving aircraft. The M2's feed mechanism had to lift its own loaded belt out of the ammunition box and feed it into the gun, equivalent to a weight of 11 lb (5 kg). 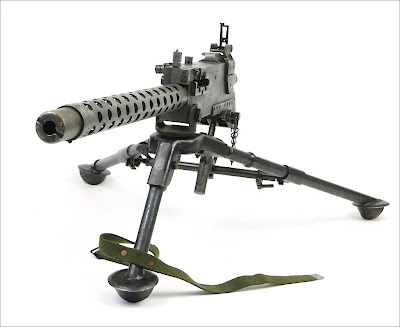 In Ordnance circles, the .30 M2 AN Browning had the reputation of being the most difficult-to-repair weapon in the entire US small arms inventory.